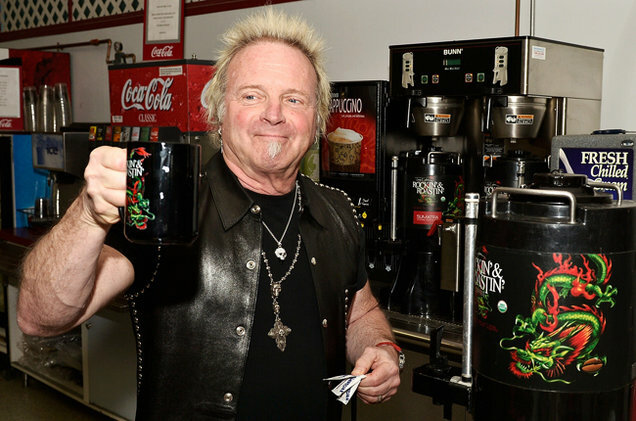 Aerosmith’s drummer, Joey Kramer, is set to open a new coffee shop in Boston on July 1. In preparation for the grand opening of the new shop – called Rockin’ & Roastin’ Café – Kramer will become “DJ Kramedog” during the morning drive program of the station from 6 to 9 a.m., June 29 to July 1…Kramer will conduct interviews with Aerosmith’s Tom Hamilton and Brad Whitford, local actor Kevin Chapman, car mogul Ernie Boch, Jr., former U.S. Senator Scott Brown, and comedian Lenny Clark.